If you’re sick of destroying your toast trying to spread it with cold butter every morning then your breakfast routine is about to get a whole lot better. The Spreadthat! self-heating butter knife uses your body heat to melt the pat of butter as you spread it around your toast. With the tagline "Churn down for what? ", Spreadthat! purports to be the cure for the mediocrity of margarine. Without any cold and lumpy disappointment, butter will spread as easily margarine while keeping the clearly superior taste of butter. 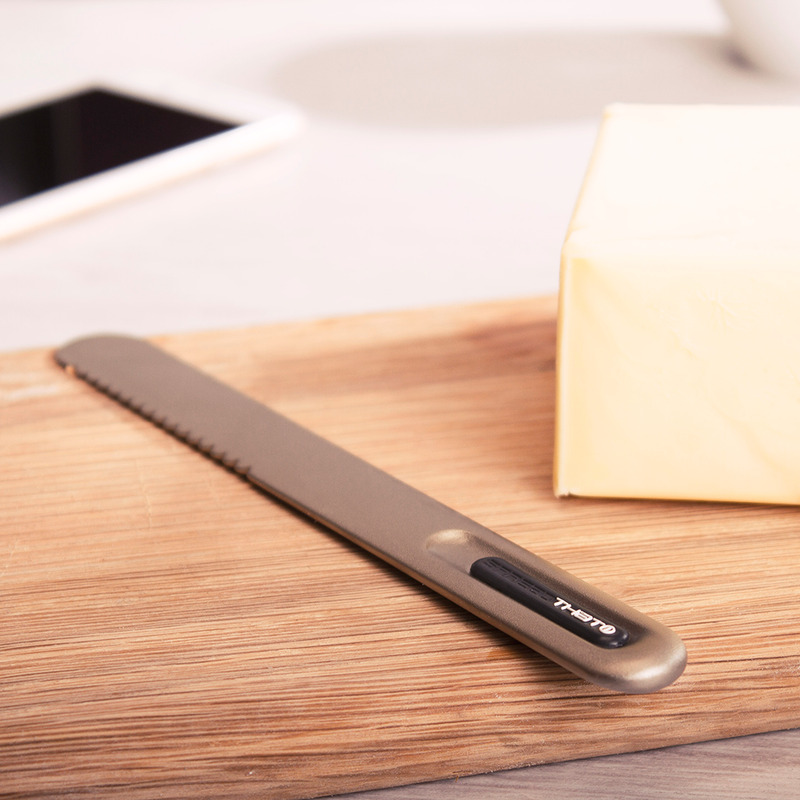 The knife is made out of thermal conductive titanium, a super efficient metal that practically transfers your body heat straight from you hand to your butter. With no electricity necessary or external parts, it's the perfect breakfast accessory. No matter how cold and hard your butter is, Spreadthat! heats it to melting perfection in under 20 seconds. This dishwasher safe knife is 23.7 centimeters (9.3 inches) long and comes in black and red. And butter isn't the only thing we spread on toast that could benefit from being softer and meltier. Spreadthat! can also soften spreadable cheeses, smooth your peanut butter, gooify your nutella, warm your jam, and more. You can pick one up at firebox.com.